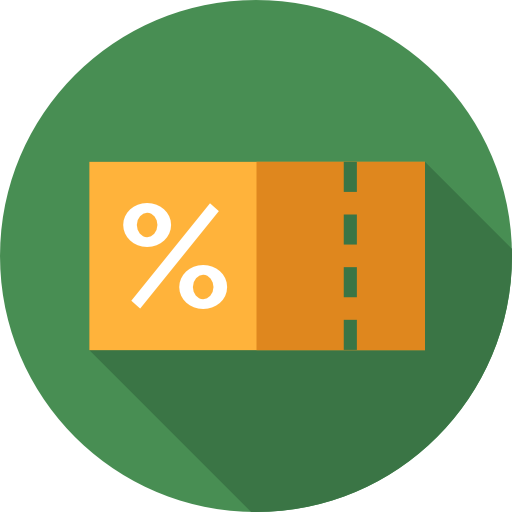 WooCommerce Coupon by User Role module allows you to disable WooCommerce coupons for selected user roles. 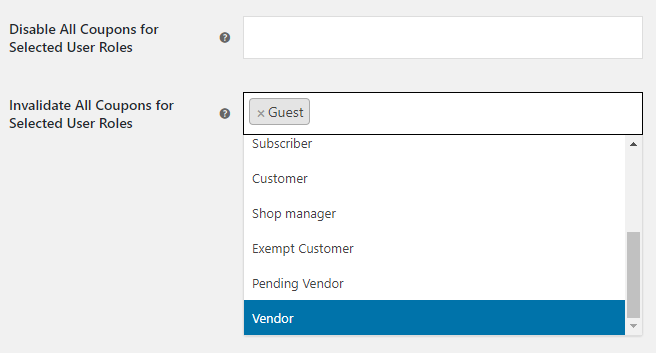 This section allows you to disable (for selected roles) all WooCommerce coupons at once. This will disable all coupons for selected user roles. Coupons will be disabled completely, including coupon code input on the cart page. This will invalidate all coupons for selected user roles. Coupon code input will still be available on the cart page. "Coupon is not valid" message will be displayed for selected user roles. 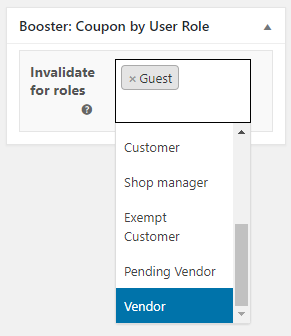 This section allows you to disable WooCommerce coupons for selected roles on per coupon basis. This will add "Booster: Coupon by User Role" meta box to each coupon’s admin edit page. Message that will be displayed for invalid coupons by user role. Default: Coupon is not valid for your user role.